Charming and Quaint, the Farmhouse Can Be Stylish and Modern. Look around as you drive along country lanes and rural highways; watch as all these quaint farmhouses come into view. 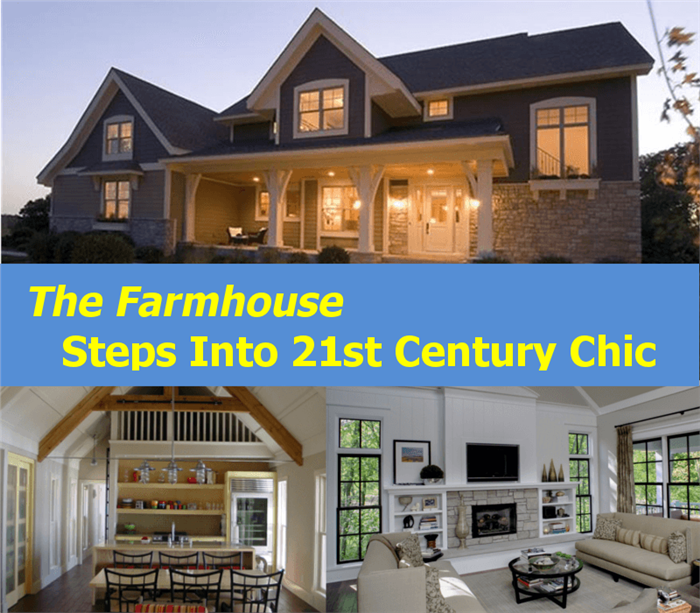 No other house style can be more innately American than the farmhouse. If beauty in its simplicity defines the ranch house, then classic American ingenuity and creativity epitomize the farmhouse. A few years ago, I moved from one of the world’s busiest cities to a relatively quiet, mid-sized town, where I traded skyscrapers and high-rise apartment buildings for single-level homes, clapboards, and cottages. One sunny July afternoon, I was invited to a going-away party and got a ride to the home of the hosts. As the neat rows of attractive ranch homes faded in the distance, the drive took us to the outskirts of town, into winding roads and the vast expanses of corn and wheat fields lining the route. In another ten minutes, we pulled in front of an unpaved driveway and parked alongside the other vehicles. The moment I stepped out of the car, I noticed the house – “a farmhouse,” someone said. Truly eye-catching and picturesque, the sprawling two-story wood and stone house, painted white, stood in the middle of all that acreage, surrounded by huge shade trees and plants. It was the centerpiece of the property. The wide wrap-around porch was adorned with wind chimes, some hanging plants, two wooden benches and a rocking chair. Down the steps from the porch was a little paved section with a round wrought iron table and four cushioned chairs. Around the area were flowers and other plants. The place evoked tranquility and peace. Just to the right of the house were a treehouse, slides, swings and a trampoline for the couple’s kids. A short walk from the trampoline was a good old-fashioned barn and a fire pit where on nice spring and summer nights, the family gathers to grill hamburgers, hot dogs, corn and roast marshmallows. It was such an idyllic portrait. Later I learned that the house had been in the family for more than a hundred years; and that the sixth generation was now living there. In keeping with the times, the owners had all the modern conveniences of the 21st century in their farmhouse but retained the spirit of “hearth and home” by holding on to some treasured heirlooms and antique furnishings. It was just amazing how the family took care of that home over time – restoring, modernizing and upgrading it as the needs arose, and above, all, preserving it for future generations. The signature feature of the farmhouse is the wide covered porch that wraps around the entire house or just extends to the front door. 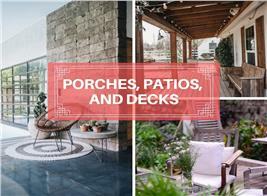 The hubbub of outdoor entertaining and family activities, today’s porch can be as elaborate, simple and homey depending on a person’s taste and style. Large and spacious kitchens were a must for the first farmhouses in the U.S. 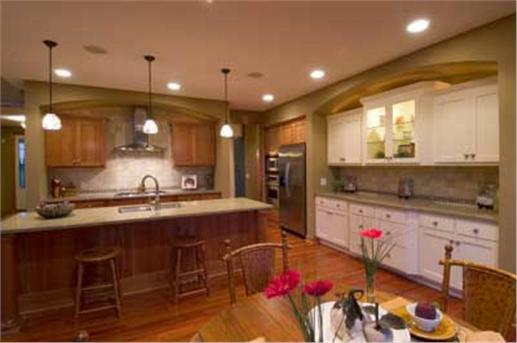 The “heart of the home,” the kitchen is still the place for meals, special occasions, and family conversations. 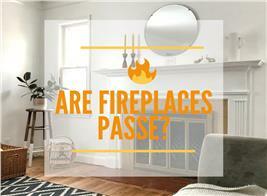 Fireplaces, then and now also provide warmth and comfort. Another distinctive feature is a gabled roof. 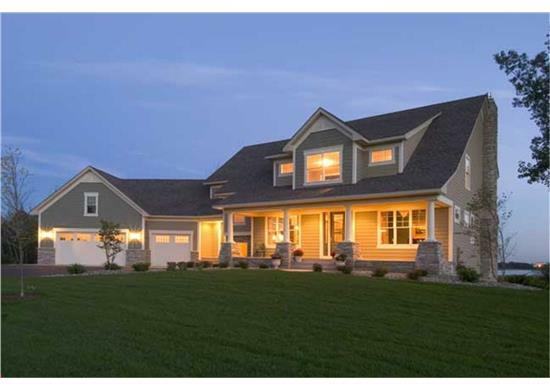 This charming farmhouse (top) features a covered porch with stone columns, and inside is a spacious kitchen (bottom) with breakfast nook. 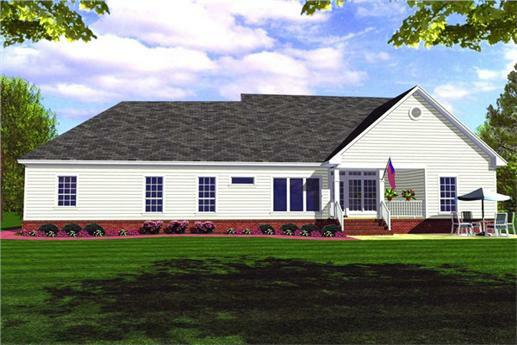 More information can be found on farmhouse house plans at The Plan Collection to see more floor plans and variation on the farmhouse style (Plan #165-1090). In the 1830s, there was an abundance of prairie land in the upper Midwest as a result of treaties with native Americans of Illinois, Wisconsin, Minnesota, and Iowa. In addition, the Homestead Act of 1862 made land available to farmers. As a result, German, Scandinavia and Irish immigrants as well as residents of Pennsylvania, Ohio and Indiana traveled westward. These settlers farmed their small properties, grew wheat, vegetables and corn; and built their own homes. The very first homes were made of grass; but soon the pine forests in the Midwest provided lumber for better homes. Typically these homes were two rectangles joined in an L or T shape with the living room, bedroom and kitchen on the ground level. A narrow staircase would lead to the bedrooms upstairs. The porch served a more utilitarian purpose – storage space for the harvest. The homes became larger and better as farm families became more prosperous. However, not everyone could afford the expensive timber. Enter, Chicago carpenter Augustine Taylor, whose balloon frame idea reduced housing costs by avoiding the use of heavy beams and posts. Taylor introduced “2x4s, 2x8s, and 1x10s” that were nailed together to form joists and rafters. During the early days of life on the prairie, farmhouses were just that: houses built on farms where those who tilled the land lived in close proximity to their jobs. The first houses were “do-it-yourself” creations, born out of necessity and hard work. They were simple, comforting, and full of the warmth and love of family life. With prosperity came changes in the basic farmhouse structure. The new generation could now afford architects and builders; and house plans were available from the local lumber or general store. The farmhouse rustic style gave way to “four squares” with full-blown second stories; and to Federal and Victorian designs. The farmhouse changed over the centuries. Farmers moved out of rural areas; their descendants pursued other industries and began living in more urban areas. But the idea of farmhouse living remained with them. When they built new homes, they carried most of the features of the old homesteads that still managed to evoke warmth, security, safety, comfort and the spirit of family life. And on to the 21st century, the farmhouse has marched, looking better than ever. 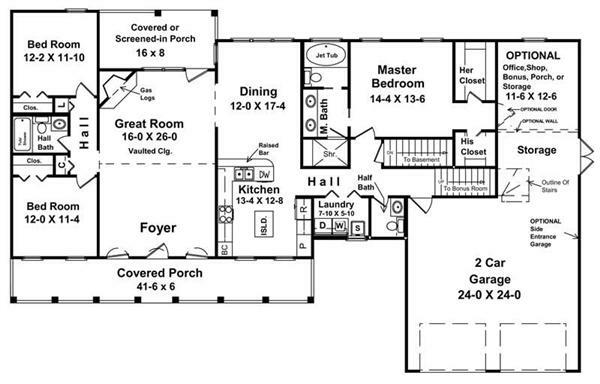 Floor plan for this farmhouse with modern amenities, including an option layout. From the first homes built in the 1860s, the farmhouse has taken on modern designs and styles. In the farmhouse above (Plan #141-1161 from The Plan Collection), note the attractive front porch and attached two car garage. 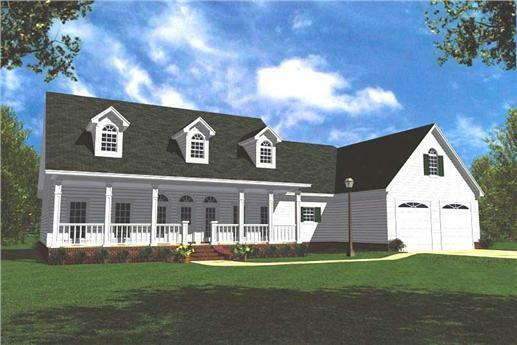 Rear elevation of this farmhouse plan. 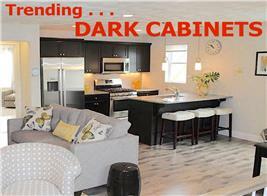 Much like the ranch house style that has made a huge comeback, the farmhouse is now a very much sought after design. It has come a long way from its really humble beginnings: from the prairie sod to the now luxurious homes that are being built and renovated across the country. Really, what can be more American than the farmhouse? It was a result of the pioneering spirit of the early settlers who left their homelands and their home states to move West and create new frontiers. They built their homes from materials that were available to them; and over time, improved and added to these dwellings. These were safe havens from the harsh weather, warm, comforting and relaxing for their families and other generations to come. So, look around you and see if your neighbor’s home has that familiar inviting porch, the gabled roof and overall simple lines of the first farmhouses. You may be looking at an Americn classic!